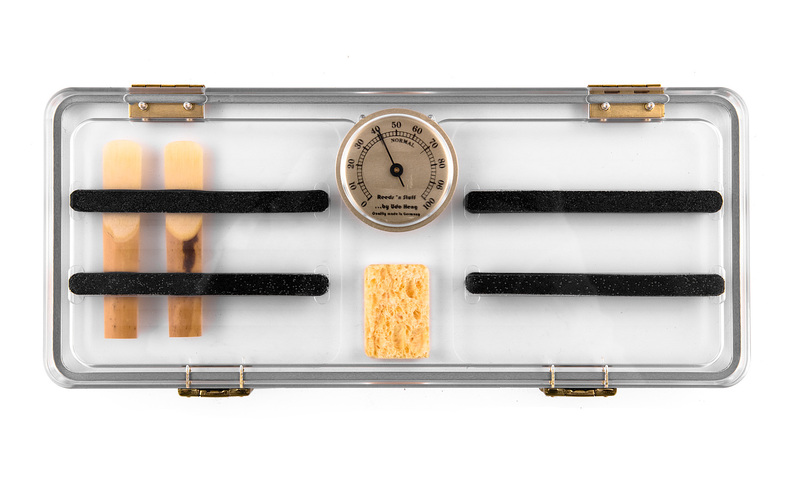 Like a humidor, this exclusive case maintains stable climate conditions inside. With one glance at the hygrometer, you can have the humidity under control. The rubber seal protects your reeds from changing outside conditions. The acrylic glass can be cleaned easily with a cloth. 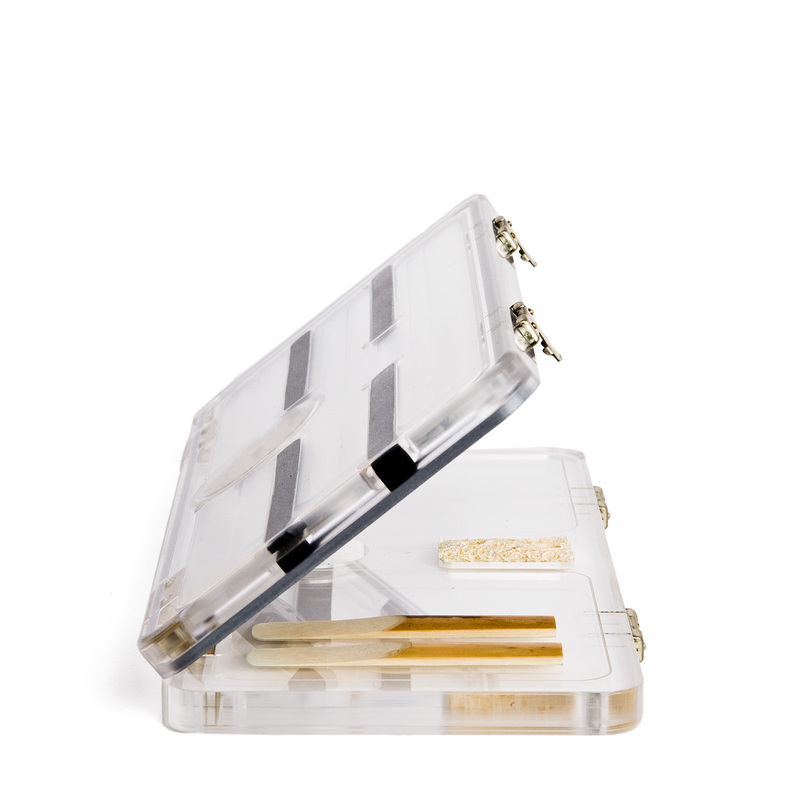 The case holds 12 clarinet reeds or 10 alto saxophone reeds. You can put in reeds up to 82 mm length.